Every Spring, your lawn can appear dry and withered away by the challenging winter weather. Suppose you could revitalize your lawn and give it the proper attention and care it needs to grow greener and fuller in time for the Spring and Summer, and last all the way until Fall. To make things easier for you, we’ve created a Spring Lawn Care Tips to help you get started. An essential step to taking care of your lawn is to remove leaves, branches, and other parts of plants that have fallen on the ground. Cleaning away these plant parts will make it easier to mow your lawn without obstruction. It will also help you rake thatch away from your lawn. According to HGTV, thatch is “essentially dead or dying grass shoots” that can be good for your lawn if it’s less than half an inch, but too much thatch can actually cause the lawn to feel suffocated. 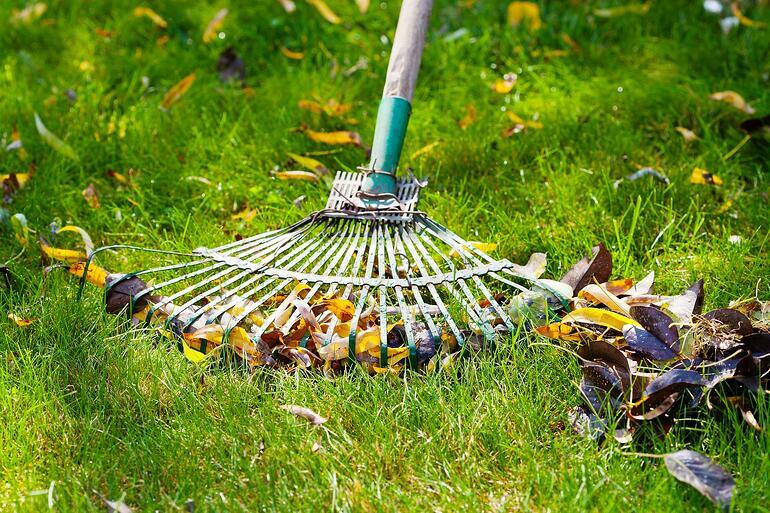 They recommend that the best time to rake thatch is during early Spring so that your lawn can start recovering at the beginning of its growth period. Another great way to care for your lawn is to aerate it. Aeration involves creating small holes in the soil to alleviate soil compaction. These holes increase the space between solid particles and allow air, water, and nutrients reach the grassroots and help the lawn become stronger and healthier. When you aerate your lawn, ensure that the soil is moist. We recommend you start aerating a day after you’ve watered your lawn. 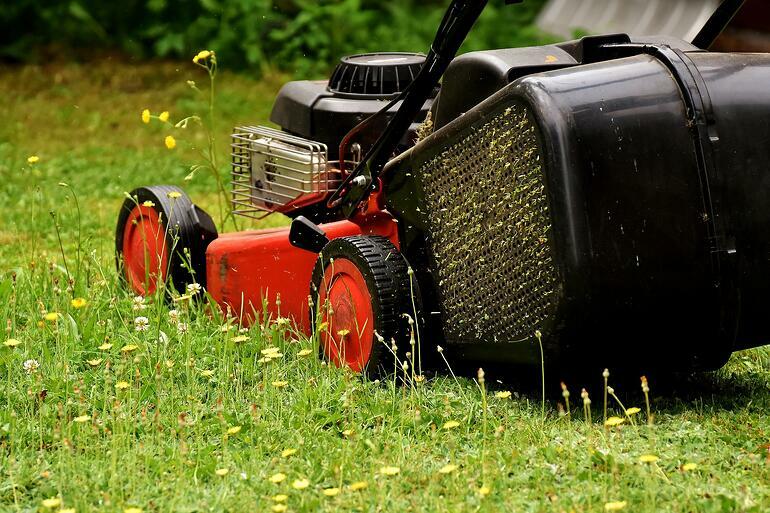 Before you get started on mowing your lawn, replace the blades on your lawnmower if they are looking dull and rusted. Dull blades will not cut the grass properly but will tear the grass unevenly, making it more vulnerable to browning. After you’ve changed the lawnmower blades, it’s time to mow your lawn. 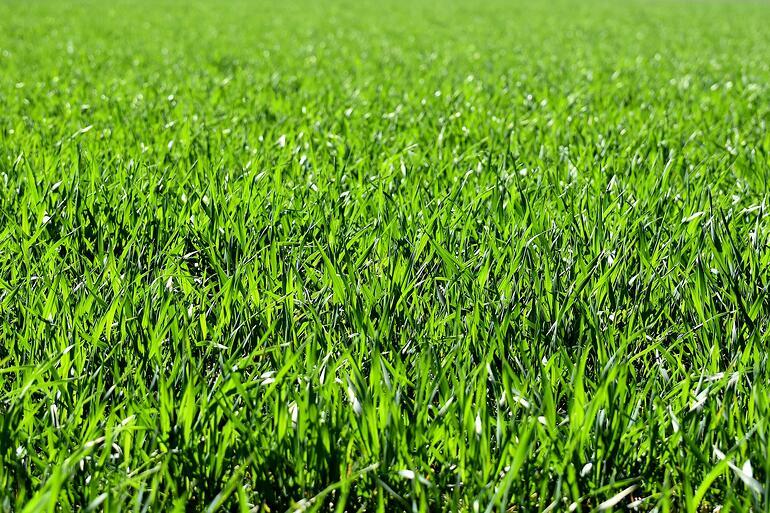 At the beginning of the spring season, mow your lawn to a height of 1.5 inches. This allows more sunlight, water, and nutrients to reach the grassroots. However, you don’t want to keep the grass this short all Spring because it may welcome weeds early. After two weeks, increase the height of your grass to 3.0 inches, or to whatever the height is optimal for your grass type. Earlier we mentioned reducing soil compaction via aeration. Did you know you can also reduce soil compaction by mowing your lawn in different directions? Next time you mow your lawn, give it a try. Did you know that your lawn’s soil pH should ideally be at around 7.0 to ensure a healthy lawn and plant growth? The BC Ministry of Agriculture says that “soil pH affects plants, soil organisms, and the availability of soil nutrients and metals for plant uptake.” Typically, in the Lower Mainland-Vancouver, the soil is naturally acidic, so some plants like blueberries can thrive in soil with a pH of 4.5-5.5. On the other hand, when it comes to your lawn, it prefers a more neutral pH of around 6.5 to 7.0. To neutralize your soil’s pH level, you want to apply a process called “liming” to your lawn. Liming isn’t what you might think it is; it isn’t spraying the juice of a green citrus fruit around your lawn. In fact, the lime we’re referring to is limestone, which contains calcium carbonate that neutralizes acidic pH levels. Want to know more about lime application? Download our Guide! Seeding is an essential springtime task, especially if your lawn has thinned out, become dry, and the grass has browned in color. When trying to nurse your lawn back to health, try over-seeding your lawn as it is a quick way to help your lawn become greener, thicker, and more lush. In addition to making your lawn appear healthier, over-seeding also helps your lawn overcome weeds and other diseases. When seeding your lawn, make sure you distribute it evenly throughout your lawn, so that it will grow out evenly. 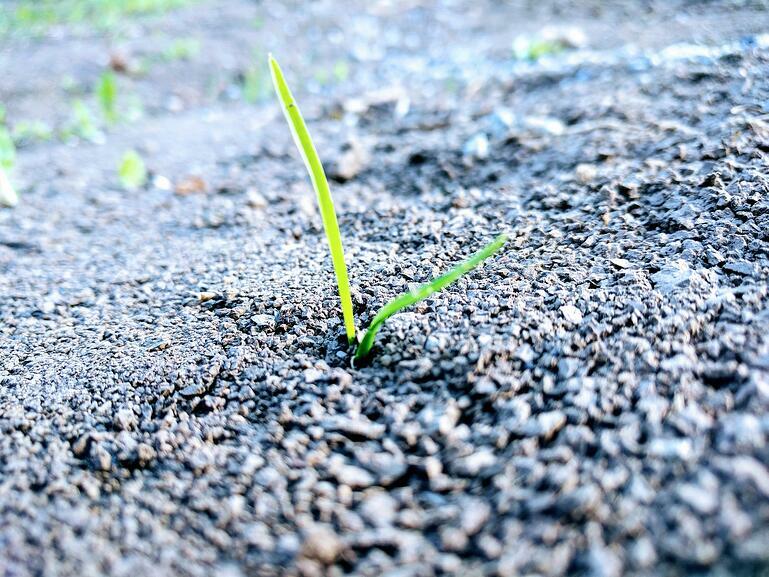 However, if you find that there are some patchy areas in your lawn lacking grass, feel free to seed that area more. 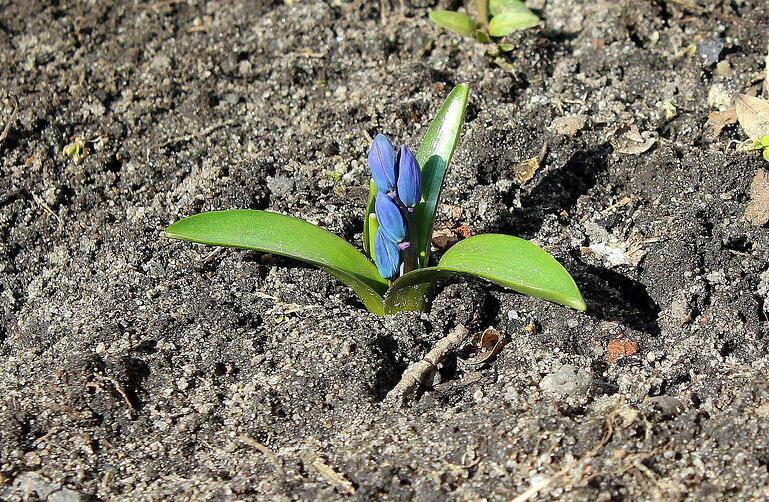 Our Spring Lawn Care Tips would not be complete without including fertilizers. Fertilizers are important for many reasons, including providing nutrients to your lawn, promoting lawn thickness, and making the grass stronger against potential weeds and diseases. Try using organic fertilizers and try to keep your lawn as Eco-friendly as possible. There are two main types of fertilizers you can use: granular and water soluble. We recommend on using granular fertilizers because they require less maintenance and can be applied fewer times in a year, as it takes grassroots longer to absorb this fertilizer than water-soluble fertilizers. 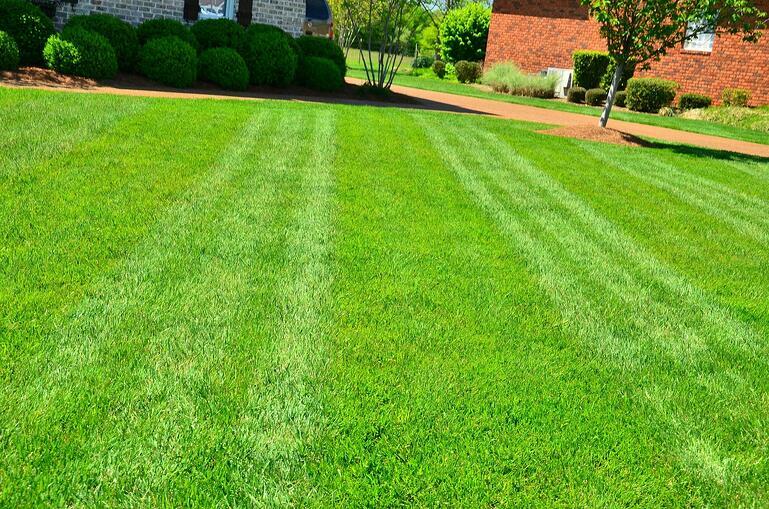 Spring is an integral time to prepare your lawn for the upcoming year. While you might think that it’s difficult to revitalize your lawn from the cold winter weather, you can apply our Spring Lawn Care Tips to help. Now you know the general picture of what you have to do for this Spring for your perfect lawn. Do you want more details? Click to download our Guide! In the meantime, follow the residential landscaping trend of this year through our blog, "Top 5 Residential Landscaping Trends of 2018"